Giddy up and prepare for adventure! 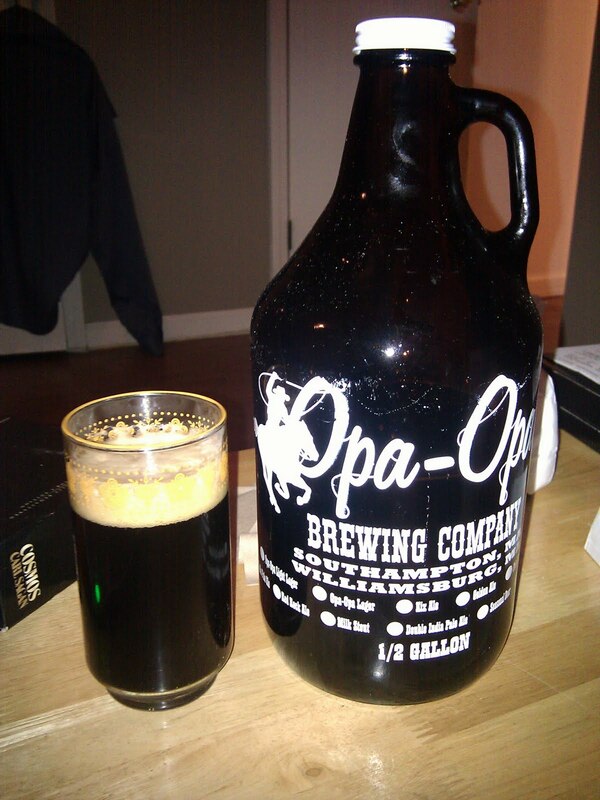 This is a review of Opa-Opa Brewery's Brown Ale. Opa-Opa is a brewery located in western Massachusetts. The have a brewery in Southampton and in Williamsburg. This is a smaller microbrew, i guess you could call them a micromicro brew. Finding their ABV is impossible at this date but can be estimated at higher 4's, but more likely a low to mid 5%. This is a nice, thick, rich, brown ale. Heavier than your Newcastle and things of that sort. What I would compare it to the most is Rogue Brown Nectar Ale, HOWEVER where the Rogue will not leave a aftertaste in your mouth, the Opa-Opa leaves it with a sweet taste of dignity, love, and American Pride. This goes great with ice cream or chocolate chip cookies. It has a nice, full bodied taste that you can't chug; but you really don't want to. The after taste might be a bit bitter if your aren't into dark beers. It doesn't have a smooth taste like a porter or stout but ales aren't intended for that. The carbonation and flavor gives it a more refreshing taste than a porter. This beer is just as good for summer as winter; have you ever tried to drink a porter when its 90 degrees outside? This angel came in a growler (that didn't come out correctly) which means i got 64 oz to contemplate this review on. I've had Opa-Opa before and had been pleased and the Brown Ale is no different. I purchased the growler for $6.99 which might be the steal of the century. It's definitely a great beer at a great value that anyone can appreciate. If you like Brown Ales like Newcastle, or if you're from New Castle, this is definitely worth the time. Next time your in western Massachusetts, look 'em up cowboy! Did you drink the whole growler for the review?